There are various service cycles that are involved in managing day-to-day operations of an organization. Therefore, understanding how these cycles work and their components is important. This is where SAP CRM comes to the rescue. With the customers of today demanding more quality in terms of service, it is SAP CRM that can provide you with an end-to-end solution from the perspective of your service business. 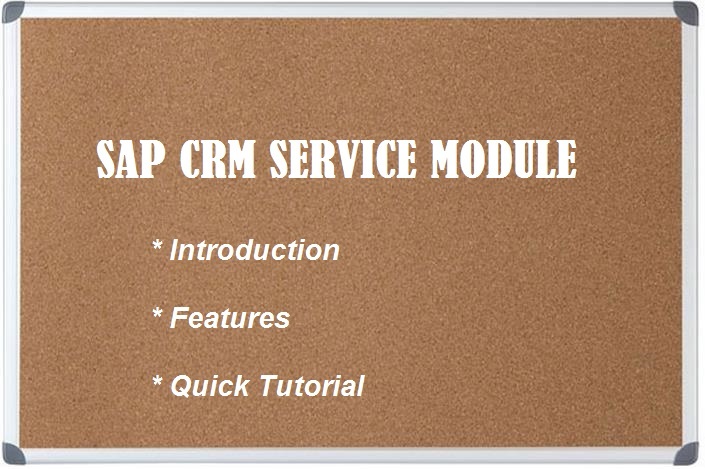 And when you implement SAP CRM service successfully, it can easily boost profitability and increase the customer loyalty. It does not matter what the known problem is, you can search for a solution through Knowledge Search. These are the features that can be used for tracking and maintain on-going service processes of your organization. These features are also beneficial in analyzing various sales processes that get completed in your organization. Through this feature, it is possible for service employees to have installed Objects or Bases to search, create, and maintain easily. These features can be made use of to keep track of all complaints that are received against products or services that are handled by your company. Field service representatives can always make use of SAP CRM Mobile Service applications in order to have their requirements fulfilled. What is really special about these applications is that they can be run in the offline mode and can then be synchronized with the CRM servers. Service Agreement is a part of a long-term agreement with a group of business partners or a single business partner that will typically include all details pertaining to an agreement with the customer on matters related to services, SLAs, billing, and price. However, these agreements generally do not include target quantity. Also, a service agreement can directly be linked to a particular service order or have reference to certain features based on which other service orders can be created. Service Contracts is what defines an agreement between a company and customers to clearly indicate the scope of services to be delivered within a specified timeframe and with predefined conditions. The entitlement of a customer to different service levels are also defined here that shall include the list of services as well as various parts that are to be covered. Therefore, in a way, a service contract will typically represent object list, service data, product list, billing plan, and release list pricing agreement. Service Plans helps you plan for a recurring service and enable you to carry it out in a planned way throughout the complete lifecycle. What it also does is the creation of follow-ups for different transactions like activity, service order, quotation, etc.